One thing begets another. Sometimes in very cool ways. Here are cool things that lead to other things for me this summer. Step 2: Write a post about that story to get my thoughts together. Step 4: Doug Pete’s This Week in Ontario Edublogs features the aforementioned blog post “Things Open“. Colour me flattered. Step 5: Doug Pete also chats about this post, with Stephen Hurley, on his radio show of the same name on the VoicEd.ca radio station which chats about education in Canada 24/7. Colour me extra flattered. Step 6: Stephen Hurley from aforementioned VoicEd.ca has me on his own radio show “In Conversation with Stephen Hurley”. I am now painted a nice, deep red flattered colour. Step 7: (not yet completed) Stephen Hurley offers me the opportunity to have some time on the station to do a thing… A show? A… what? A weekly chat about Open Education? Sharing student projects? I don’t know yet! What would you do with the air time if you were me? Comment below if you have any brilliant ideas or want to go on air with me at some point. I was just chatting with Stephen myself about #7 and am equally excited about the VoiceEd platform and completely bemused by what I might talk about. Open Ed. Student Voice. Creative Pedagogy. Curriculum design. The open spaces (like Voice Ed and Twitter) which allow for a flattening of PD and get connection happening at all levels of education. These are some of the ideas I have had and you are welcome to expand on any of them. Thanks Denise! Great ideas. I will let it percolate a bit and maybe we can chat some more about these opportunities later! Your voice will echo into the mists of time! 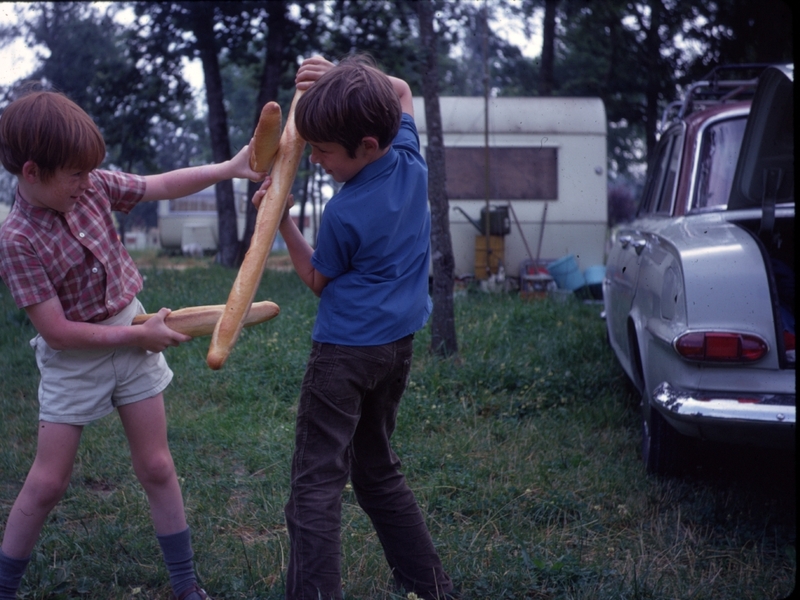 Take your baguettes and go for it – if you need other voices to amplify the echoes, you know where to look! you bet your bippy I do! Hope you want to come on the radio with me at some point!